Actress and artist Rosie O’Donnell will present her original artworks at Wentworth Gallery in Boca Raton, Florida. Rosie will make a special appearance at the opening of the exhibition on Saturday, April 18, 2009 from 6:00 pm – 9:00 pm. All of the artwork on exhibit will be available for purchase and a portion of the proceeds will be donated to “Rosie’s For All Kids Foundation”. Wentworth Gallery is located at Town Center Mall, 6000 Glades Road, Boca Raton, FL. For details on the VIP Reception with Rosie O’Donnell or to RSVP contact the gallery at 561-338-0804 or 800-732-6140. In April 2008, Rosie released a book titled Rosie O'Donnell's Crafty U which is described by the publisher as "a fresh and fun collection of 100 easy craft projects for parents and kids (age 5 through 12)." 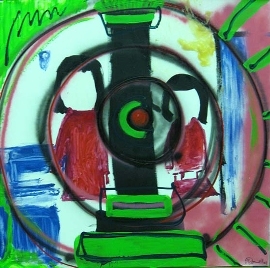 Visit Rosie.com for more information about Rosie O'Donnell and her artwork.